The Cowboy Marching Band is going to Memphis! Put on those blue suede shoes, CMB! Please continue to check this page for updates periodically until our trip. Please see the note at the bottom of this page regarding required bowl participation. 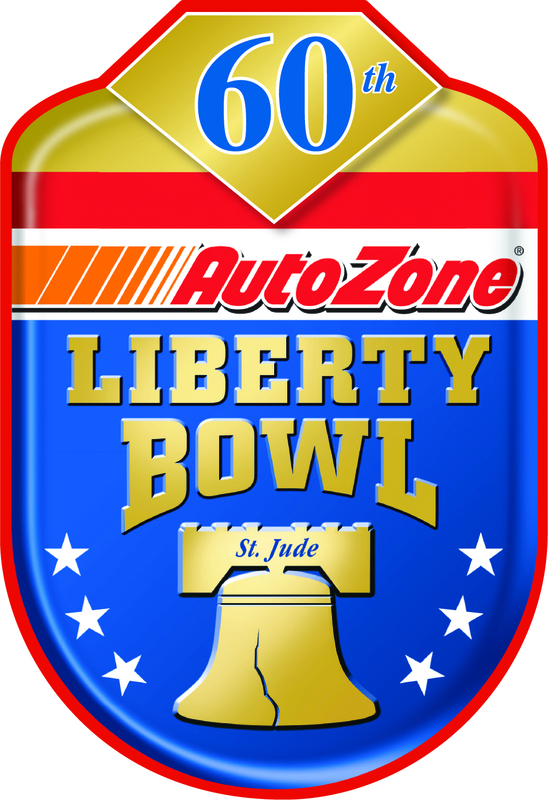 Liberty Bowl Itinerary – Updated on Dec. 27th (be sure to “refresh” your browser after loading the itinerary to get the latest version). The itinerary will be updated periodically with more information as it becomes available. Saturday, December 29th – buses will load at 6:30 am and depart at 7:00 am. 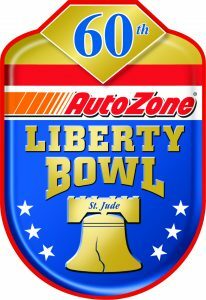 We will send 5 buses from Stillwater to Memphis, and 2 buses from Dallas to Memphis. Both sets of buses will load at the same time (6:30 am) and go DIRECTLY to Memphis, stopping only for lunch (it is about a 7-hour drive from both STW & DFW to Memphis). We will NOT be doing additional pickups / drop-offs in any locations other than Stillwater, Dallas, and our lunch stop. Our lunch stop will be in Little Rock, Arkansas. Similarly, 5 buses will return to Stillwater on January 1st after the bowl game, and 2 will return to the DFW area. Travel Information Form – ALL MEMBERS & BOWL SUBS MUST COMPLETE by Wednesday, December 12th at NOON. It is essential that EVERYONE completes this form ON TIME and ACCURATELY since we are departing simultaneously from two different cities and states. We will work out bus list details in the office and update everyone after December 12th. Bus 6-7 will be all DFW travelers for the trip to Memphis, but we will change back to our “usual” bus lists (the one you signed up for earlier this season) after we arrive. Keep a copy of the itinerary on you at all times, and read ahead before every departure to make sure you have all clothing, uniforms, spending money, etc. that you may need. Remember to BE EARLY for every event. Due to the complexity of our schedule, we will not wait for anyone at any point during our trip. Set alarms, schedule wake up calls, and ensure that your roommates and friends wake up every morning while at the hotel in Memphis. NO EXCUSES FOR TARDINESS!!!! Our banquet will be abbreviated this year (less talking) and rolled into our New Year’s Eve party at the Main Event. We will also play the banquet video as usual on all of the televisions in the Main Event. Your attire is up to you. You may want to dress casually if you plan on playing laser tag or other similar activities. If you prefer to dress up for the banquet and New Year’s Eve, you may do that also. There will be a ton of activities available, including dancing, billiards, bowling, laser tag, gravity ropes, shuffle boards, and more. Everything is FREE, including food and all activities. Due to the generous donations from two different families, renting out the facility is completely free to you and will not reduce the amount of per diem we receive. If you are 21 years of age or older, you may also purchase alcohol from the bar at your own expense. FYI – we chose not to have a separate banquet on the previous evening, because the hotel was charging an insane amount of money (double our normal banquet cost). That would have resulted in much less per diem for you on this trip, so we opted to combine the two events. Memphis has some cool places, such as Beale Street. We are staying in a nice hotel. However, it is NOT a safe town in many places, and our hotel is not in a great part of town. It is essential that you NEVER GO ANYWHERE ALONE outside of the hotel. Always travel together with other people. We will only take you to safe locations on the bus, but if you wander on your own, bad things can happen. At this bowl game in Memphis last year, the Iowa State band had a student get mugged when they took an Uber from the hotel to a restaurant by themselves. Bus List A – DFW / Stillwater PICKUP / DROPOFF – Use this list on Dec. 29th and January 1st. We’ll move to Bus List B on Dec. 30th. Bus List B – Once we are in Memphis – these lists are the same ones we used earlier this season. We are taking one truck. All percussion equipment, tubas, baritones, trombones, mellophones, tenor saxes, and ladders go on the truck. Every person is responsible for loading their own instrument on the bus or truck. If you are not departing with us from Stillwater and your instrument is in the dungeon, please contact someone in your section to make sure your instrument is loaded on Dec. 28th, or bring it to Memphis yourself. DO NOT ASSUME THAT SOMEONE ELSE IS PACKING YOUR INSTRUMENT UNLESS YOU ASK THEM TO!!! UNIFORMS: Remember to pack your white coats, orange bibbers, white marching shoes and socks, white gloves, cowboy hats, CMB baseball caps, and rain coats. Depending on the weather forecast as the trip nears, you may want to bring beanies and layers to wear with your uniform, as well as warm clothes to wear in Memphis during our rehearsals and free time. Other packing suggestions are located on page 4 of the itinerary. Please be sure to check out a uniform on Wed, Dec. 12th between 5:30-6:30 pm. If this time won’t work for you, then please contact Chelsea Zuniga or Colter Comstock ASAP to set up an alternate time. If you need an OSU instrument, please email Andrew Raven ASAP. Please note that we use the Remind app to communicate timely information to our members – be sure you install the app or subscribe to notifications using the instructions on the previous link. As a reminder, bowl travel is REQUIRED for all residents of Oklahoma and surrounding states (Texas, Arkansas, Colorado, Kansas, Missouri, and New Mexico). It is also REQUIRED for ANYONE on an out-of-state tuition waiver (it’s written into your agreement). The only people exempt are those who are both from a state other than one previously listed, AND not on an out-of-state waiver. Failure to participate in the bowl without an excuse approved by Dr. Henderson may result in loss of waiver, loss of scholarship, and/or loss of CMB membership privileges for future seasons at the discretion of Dr. Henderson, Dr. Missal, and Dr. Austin. The following is not an acceptable excuse: “My parents planned a trip during that time.” That might work if you were 15 years old and a high school student. However, you are ADULTS, and this information is published in advance on our calendar / newsletter that is sent out in June. It’s going to be a great trip! Go Pokes!! !